GoodGuide – how green is that product really? Sure that bottle of shampoo says it’s helping the Earth by using less plastic or those snack cakes say they use less packaging but how ecofriendly are they really? If you’re concerned about making sure the products you use leave the least amount of damage on the planet, check them out on GoodGuide before you buy. GoodGuide is a website (and associated apps) that allows you check to see how safe, healthy, and ethical the products you’re buying are. You can make sure that the product is safe not only for the planet but for you as well. No one likes using a shampoo and then finding out that it causes cancer and/or hair loss. 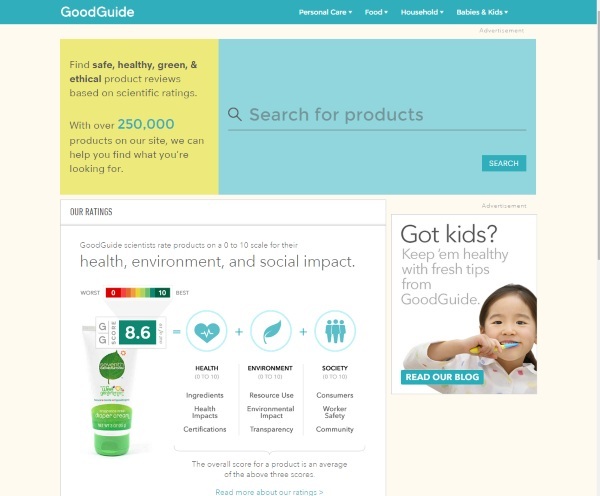 GoodGuide rates products on a three things, health, environment, and social impact. 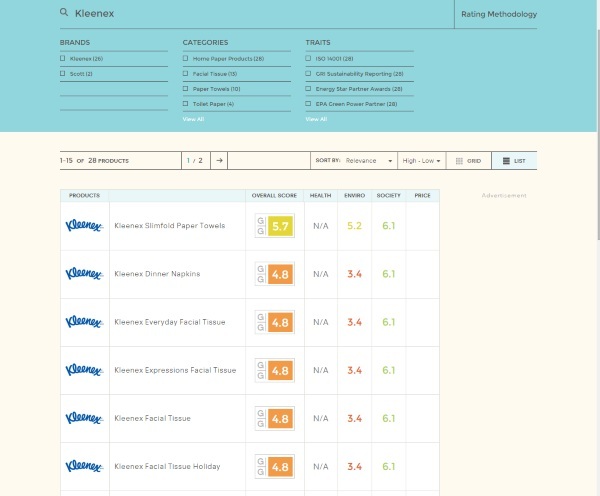 Each rating is done on a ten point scale and then the product is given an overall score. The higher the overall score, the better the product is for you and the world, the lower, the worst it is. You don’t have to shop blindly, be an informed consumer with GoodGuide. The website is free to use.